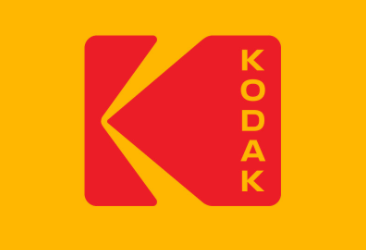 Kodak has announced a series of business division and leadership changes. Todd Bigger succeeds Allan Brown, who will be leaving to join the financial technology sector as Vice President & General Manager, Digital Community Markets with Finastra in Austin, Texas. Todd has been with Kodak for 22 years, holding a variety of positions in sales, marketing and general management. He holds a Bachelor of Science degree in Printing Management from the Rochester Institute of Technology. Roger Byrd succeeds Sharon Underberg, who has elected to resign in order to become General Counsel of a publicly-traded technology company. Roger joined Kodak in April 2015 as Assistant General Counsel and Vice President, Legal Department, and has focused on corporate and transactional work in support of the company’s various strategic initiatives since that time. Prior to Kodak, Roger was a partner at Nixon Peabody LLP, a national law firm where he practiced M&A and securities law for 20-plus years. Roger is based in Rochester, NY and holds a Juris Doctorate from Duke University School of Law. Uwe Boerke succeeds Mark Green and will retain his current role as the Managing Director for Kodak Germany. Uwe joined Kodak in 1988 and has held a variety of positions including HR leadership roles across various Divisions, EAMER and Equipment Manufacturing Europe. Uwe holds a Master’s degree in Economic Science from the University of Hanover, Germany.